Soper Heritage River. Aside from the scenic beauty of its location, Kimmirut is also a culturally important part of the north. Known in the past as Lake Harbour, the hamlet is on the site of the first Hudson Bay trading post on Baffin Island, founded in 1911. 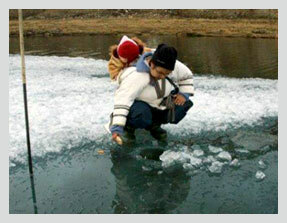 Inuit have lived in the region for centuries, and, since 1992, the Soper River has been designated a heritage river on account of its enduring cultural significance – in Inuktitut it is called Kuujjuaq or "the Great River". Today, Kimmirut is home to over four hundred people who preserve a traditional way of life. Together with the warm local hospitality that will welcome travelers, the hamlet and the region have much to offer. The beauty of nearby Katannilik Territorial Park is only minutes away, and the hamlet is an excellent starting point for visitors wanting to explore and enjoy its many attractions. 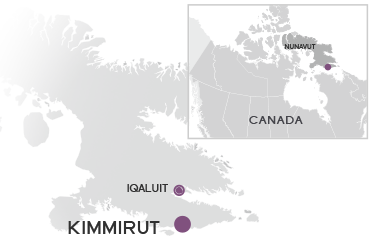 Kimmirut is also home to a thriving culture of arts and crafts, including stone carving, ivory scrimshaw, and jewelry making – much of which uses many gemstones native to this unique area.